Blog How To Soundproof Your Car to Make Your Vehicle Quieter On The Road! Do you want your noisy Toyota car to sound more like a Lexus when your driving on the open road? I’m sure you would. Most budget vehicles have to keep cost low, and in doing so, they need to compromise in some areas. One thing they tend to do is only to put as much noise dampening material that is necessary. In this article, we will show you the best ways on How To Soundproof Your Car to Make Your Vehicle Quieter On The Road! Back in the day cars and trucks were meant to be more practical and we treated them as such. These days more of us don’t always drive because we have to but because we love to drive; And when we do go for a long road trip, we want our ride to be quiet and comfortable making the sound deadening material more popular as a DIY project. Sound deadening a vehicle does not have to be expensive. There are a few products on the market that can get the job done and should only take a few hours to accomplish. Where is the Best Place to Apply Sound Deadening Product In a Vehicle? What Should you Expect after Soundproofing your Vehicle? The number one way to reduce road noise is the product application called Dynamat. Dynamat is a simple DIY fix, but it is relatively expensive comparing it to other similar products on Amazon. It creates a foam shield that you place under the floor mats of your vehicle. It will then soak up a significant amount of noise coming from the tire and entering the interior of the car. As I specified, there are cheaper alternatives that have the same effect on the vehicles noise reduction. 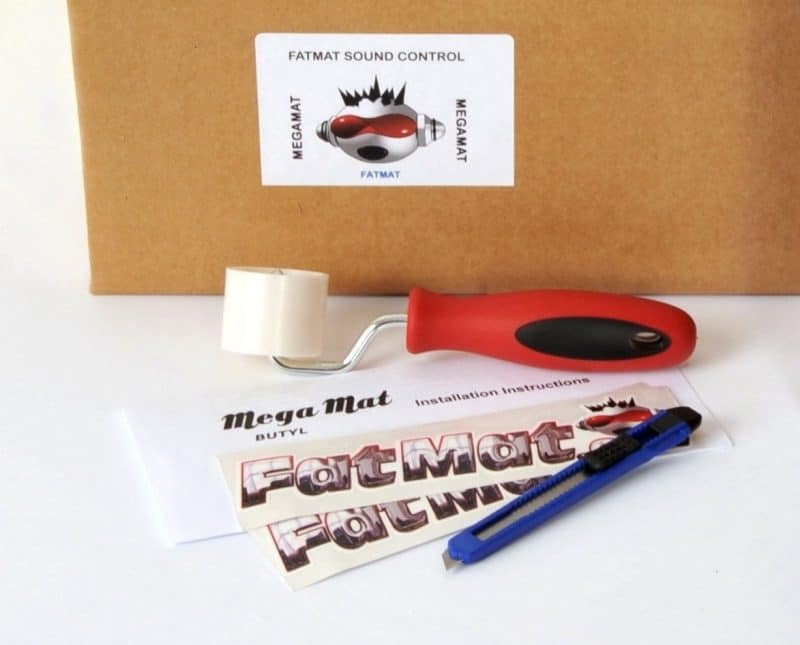 One of these products that I recommend is FatMat Self-Adhesive Butyl Sound Deadener with Install Kit from Amazon. Fatmat is half the cost of Dynamat, and it is an excellent product if the reviews are any indication of the quality as a sound deadener for a car. Installing this product under the floor carpet of your vehicle should take you less than an hour, and it is easily considered a DIY product. You don’t need to be an expert in this type of field to be able to install this type of material. The bigger plus about a Butyl product is that you do not need a heat gun to make it stick. In the past, you would have needed a heat gun because the sound deadeners for vehicles were asphalt base. Newer Butyl products have an adhesive coating on one side to make the process reasonably easy without causing any headaches. The amount of sound deadening material you have to get for your vehicle depends on how much road and engine noise comes into the cabin. That will determine how much area you will have to cover. Also, do not hesitate to add a second layer on top of the first one if your vehicle is still noisy after the first layer. You should also consider the trunk because a lot of noise comes from the back tires. It’s also good to make your trunk feel more solid when closing it and will also stop vibration from the radio. If the seats in your vehicle extend almost to the back, applying foam in the trunk won’t make much difference. One approach I’m sure most wouldn’t have thought of is to add a sort of heat shield as your first layer under the Fatmat. I’ve never used this approach, but I did see someone do this on YouTube. 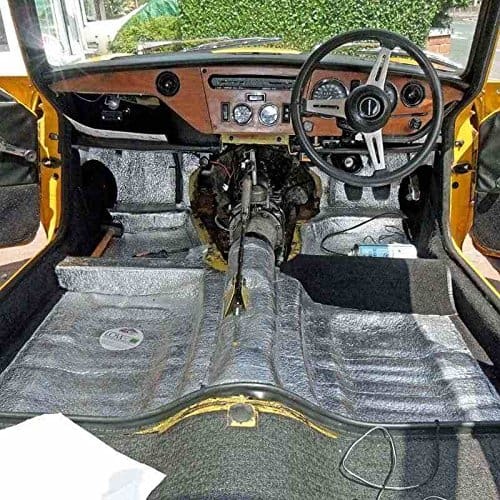 I did a bit of research and found the product similar to what they were using; EZ-Cool Car Insulation Kit: Heat and Sound Automotive Insulation For Your Car Restoration Projects. The primary function of a heat shield is, of course, preventing too much heat coming from the floor into the cabin. When heat transfers from underneath the vehicle it creates condensation. By using reflective insulation, heat transfer from under your car will block up to 98% of that heat. When I was reading the reviews, I notice some people saying that it also works wonders as a sound deadener, on top of shielding heat transfer. As I suggest, laying EZ-Cool insulation kit underneath the foam if you want the best results in the end. You can watch the video below to see how someone installed a product very similar to the EZ-Cool Insulation. For this particular product, you will need to buy 3M General Trim Adhesive to apply on the bare floor of your vehicle. This type of adhesive is made explicitly to bond the material to metal. 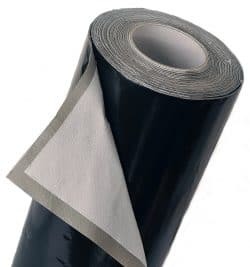 Place the reflective insulation directly on the 3M adhesive and after it dries up, apply the FatMat foam as the second layer for maximum soundproofing. If you’re on a smaller budget and you only want to buy one package of sound deadening material; the best place to install it would be directly under the driver and passenger seats. Directly under you is where most of the road noise comes from and will block most of that noise coming from the tires into the cabin. The second most important area to install sound deadening in your car is in the trunk directly on top of the rear tires. The noise of the tires rolling on the road travels throughout the vehicle. The Third vital area to install the soundproofing insulation is on the back seat floor. This is especially important in older model SUV’s but will also do an excellent job regarding noise control in any vehicle. The final area I would focus on is the doors. Some vehicles are better than others in this aspect, but you can find out how your car is insulated by shutting the door. If the sound of shutting the car door is like a tin can then it might need some insulation. It will stop the vibration and make the door sound better when you close it. When applying the soundproofing insulation in your car, make sure to apply it everywhere in the area you’re working on. If you’re applying the insulation on the car floor, you will have to make sure there are no cracks; because that would defeat the purpose of the entire project. Think of your patio door, if you open it just a crack you will hear everything that’s going on outdoors. It is the same thing in the case of soundproofing your car. I would suggest adding an inch of insulation on the sides to make sure you apply it to all areas. Take your time; there’s no rush in doing this because the last thing you want to do is have to redo the entire process. There are no scientific studies on this because every single car will have different results. That’s also true with the various products and application process. If you have an older car, you should expect a big difference since they were much less insulated regarding noise reduction than vehicles today. If you drive a luxury vehicle, you shouldn’t even need to soundproof because manufacturers usually add extra insulation to make the car quieter. You should hear a considerable difference in older trucks, but the rule of thumb is the older and cheaper the vehicle is the more you’ll notice the results. I’m not going to throw in numbers because there is no way of knowing, Id just be guessing. You might not think that driving in a quiet vehicle is essential, but if you think about it for a minute, you will realize how much better your commute would be in a quiet car. For example, your driving at highway speeds and you want to turn the volume up on your radio, but you can’t because someone is trying to sleep or read in the back seat. I listen to a lot of podcasts when driving, and I always need to crank the volume to make out what they are saying. I’m a truck guy mind you so it might be a bit louder than your typical vehicle but you get my point. I sometimes find it more comfortable to wear headphones if I want to listen to a podcast or an audiobook. I did install sound deadening material on my truck floor a few years ago and found that it helps immensely in making my commute more peaceful. Many years from now we probably won’t be thinking of soundproofing our cars much because of the evolution of the electrification of vehicles. Electric vehicles are much quieter than the typical internal combustion engine. The only thing that would make an electric vehicle noisy would be on highways with wind noise and road noise. If you’re driving in the city at low speeds, the engine noise will be a thing of the past. Please leave us a comment if you have any questions about this type of process and let us know if you had success in sound deadening your vehicle.